Consider the transformation of elite quarterbacks in the league. Peyton Manning, Brett Favre, and Tom Brady ran the table from the early to mid 2000s. While these quarterbacks are different in many respects, they’re all considered quality pocket passers. Favre is a bit of an anomaly, however, with his ability to scramble and make throws outside of the pocket. Manning famously went from under center, calling signals and audibles. Brady’s quick release and ability to read defenses made him one of the most elite quarterbacks in the league. Even though I put Manning and Brady over Favre, they all were dominant quarterbacks during that era. I still consider Brady an elite quarterback, but the new age of quarterbacks have significantly different skill sets that are indicative of the changing league. Robert Griffin III, Johnny Manziel, and Jameis Winston were supposed to be the guys who were considered the elite quarterbacks after Favre and Manning. All three were flashy players with skills that gave adrenaline rushes to NFL fans. Johnny Football’s speed, scrambling ability, and keeping plays alive made him comparable to Brett Favre in college. Manziel’s red flags were seemingly overlooked by the Cleveland Browns. His lack of work ethic, inability to play well with others, and size made him an NFL bust. He was supposed to be a solid NFL quarterback, but obviously his Texas A&M career never transitioned successfully to the Browns. Robert Griffin III was supposed to the next big thing. His arm talent from the pocket was unparalleled; he could make plays with his feet, as well. His size gave him an advantage over Manziel when reading a defense from the pocket. RGIII took unnecessary hits, and the Redskins’ poor management of his injuries made his NFL career a bust. Jameis Winston represented a sure thing on the field. A national championship and sufficient experience in a pro style offense with Jimbo Fisher at Florida State made scouts drool over his talent. The red flags were primarily off the field. Winston hasn’t really panned out in the NFL. The Bucs aren’t a great team, but he has made decisions that has kept him off the field this season. It’s clear that, the way things are going, he’s never going to be considered an elite NFL quarterback. Enter Jared Goff and Patrick Mahomes. Mahomes wasn’t touted as an amazing NFL talent coming out of Texas Tech. He was placed into a solid NFL system with Andy Reid’s Chiefs. He sat behind Alex Smith, and when he finally got his chance, he showed that he’s going to be an elite NFL quarterback for a long time. He has an arm that will make your jaw drop. It doesn’t hurt that he has one of the fastest receiver to catch his long bombs in Tyreek Hill. Mahomes and the Chiefs definitely learned from the lessons of Manziel and RGIII. Mahomes seems like a high-character guy, and most importantly, the Chiefs won’t let him take unnecessary hits. They’ll manage his injuries correctly. Goff didn’t start immediately. However, he was put into a Rams system similar to one he played in at Cal. Unlike Winston, the system Goff is in directly benefits his play style. The up-tempo offense of the Rams and Chiefs perfectly fits both quarterbacks, and the quality of character of both men will allow them to succeed for quite some time. These offenses are telling of how the NFL quarterback landscape is changing in the NFL. 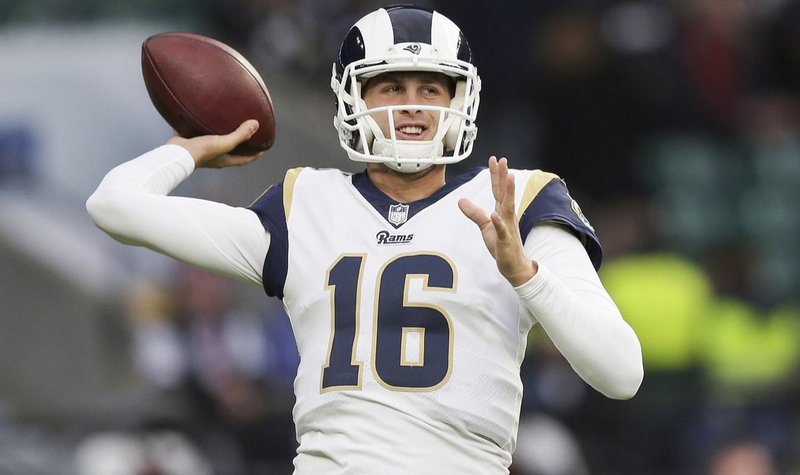 Stars like Goff and Mahomes are a new breed of offensive production. This is easily seen after the Chiefs vs. Rams Monday Night Football game a few weeks ago in which the final score was 54-51 in favor of the Rams. Quarterbacks like these, with the help of offensive masterminds like Andy Reid and Sean McVay, are creating the new age of the NFL.